If you’re trying to break into the crime fighter game, then we’re here to let you know that it’s a lot tougher gig than you might think. You can’t just waltz into the lair of the local crime boss and demand that he turn himself in. Especially if you’ve been doing all of your heroic feats while wearing your gym clothes. Sure, they might be comfy and completely designed for doing some acrobatic moves, but it’s hard to intimidate the bad guys when you look more like a yoga instructor than a superhero. The first thing you need if you want anyone to take you seriously as a superhero is a fresh superhero outfit. 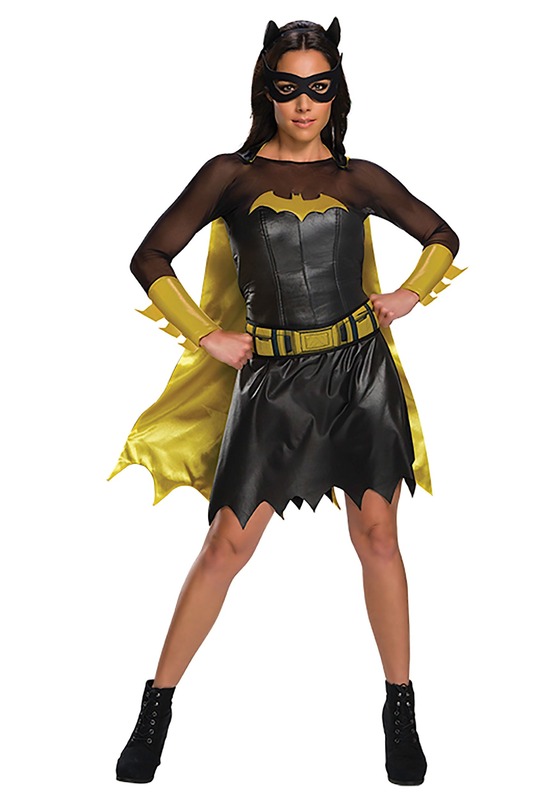 We’d like to suggest this deluxe Batgirl costume for women. It’s based on the outfit worn by Barbara Gordon from the Batman comics. It comes with a black dress with a faux leather exterior and a yellow Bat-symbol designed into the chest. It has a scalloped skirt and it even has a yellow faux utility belt at the waist. And, of course, no superhero can truly call herself a hero without wearing a cape! 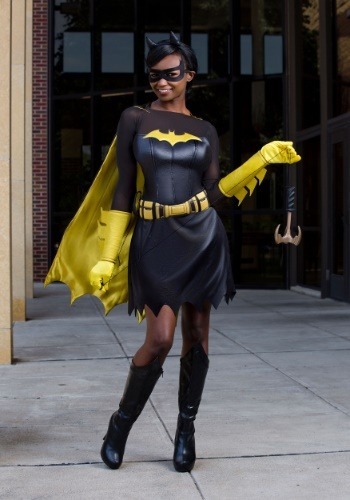 This costume includes a yellow cape that will flap wildly in the wind as you take down crime, or as you steal the show at your next costume party. Just make sure you’ve practiced all of your fighting moves when you slip into this outfit, since there’s no telling when The Joker and his crew of unsavory criminals will try to cause trouble for you! Great costume, I will use it more than one year, as it held up well.